Introducing DESIRAE | XOXO Entertainment Corp. It is a pleasure to introduce XOXO’s latest signing “DESIRAE”. 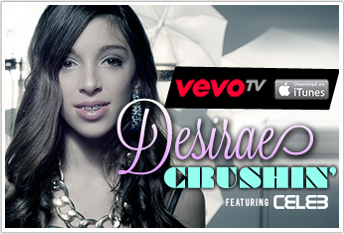 Desirae’s debut single “Crushin'” featuring “CELEB” is tearing up the airwaves right now! Click HERE to watch the video on VEVO!